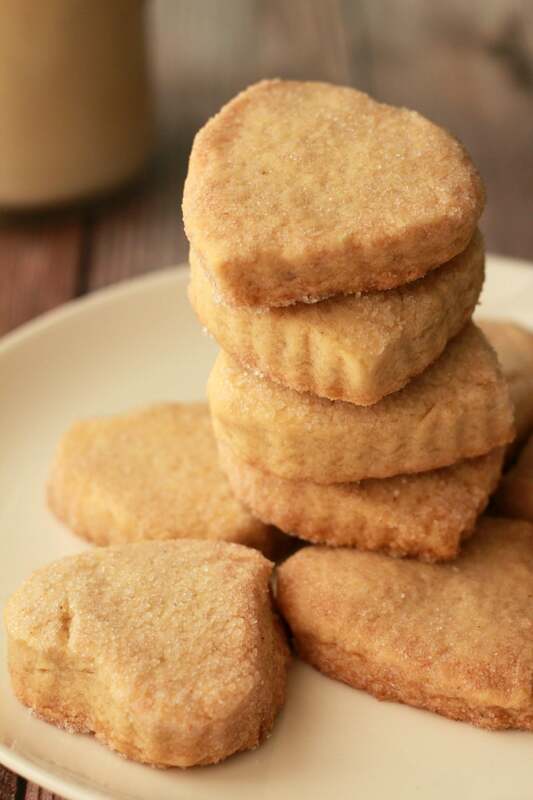 We have a brand of shortbread cookie in South Africa called ‘Eat Sum More’. Cool name right? Not vegan though, sadly. 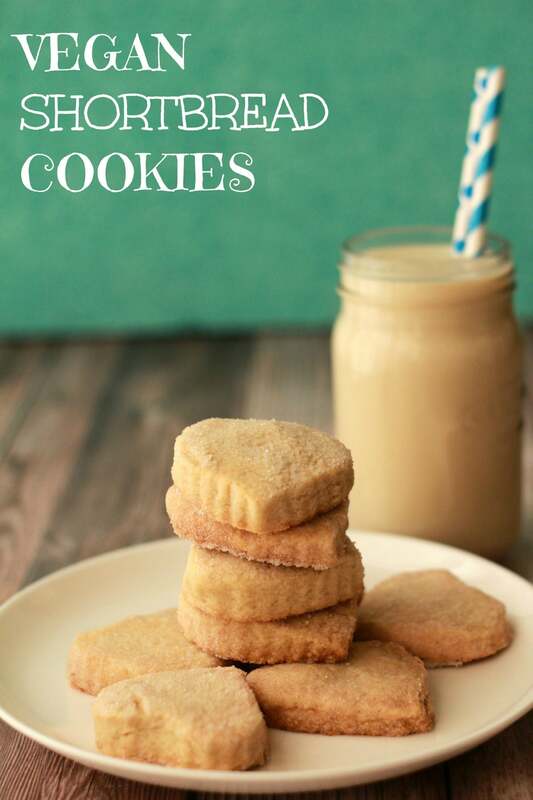 I knew I had to nail down a good recipe for vegan shortbread cookies because shortbread is the basis of all sorts of other cool desserts that I absolutely want to make! 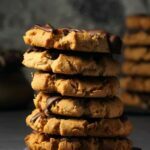 Like vegan twix bars (update: this is now made!) and millionaire shortbread! Yum yum yum! And this folks – is it! 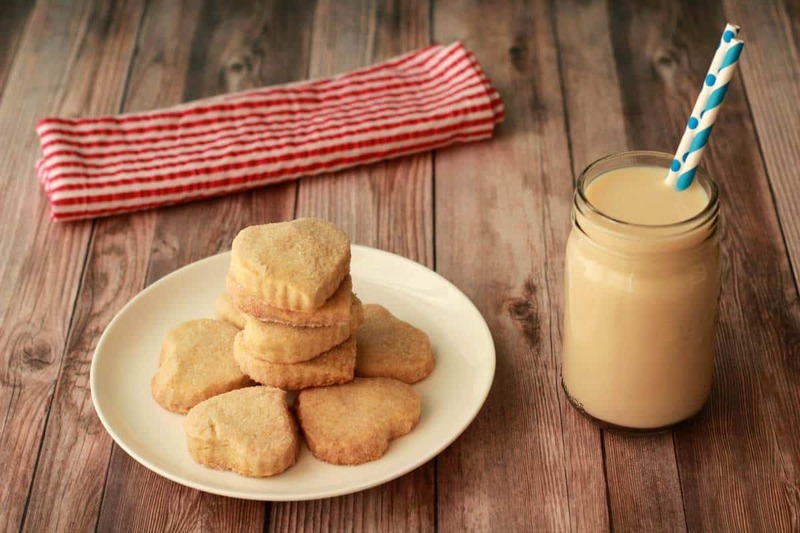 This small batch recipe for vegan shortbread cookies is the bomb diggity. I love that it’s a small batch too because recipes that make like 3 dozen cookies are just not for me. Considering the fact that it’s just me and Jaye and our two cat babies (who funnily enough don’t like cookies), it would be a bit crazy to go making huge batches of things. I even got adorable heart shaped cookie cutters for the job. On the day of baking these our air conditioner died and since it was hot as heck, this was quite a big deal. 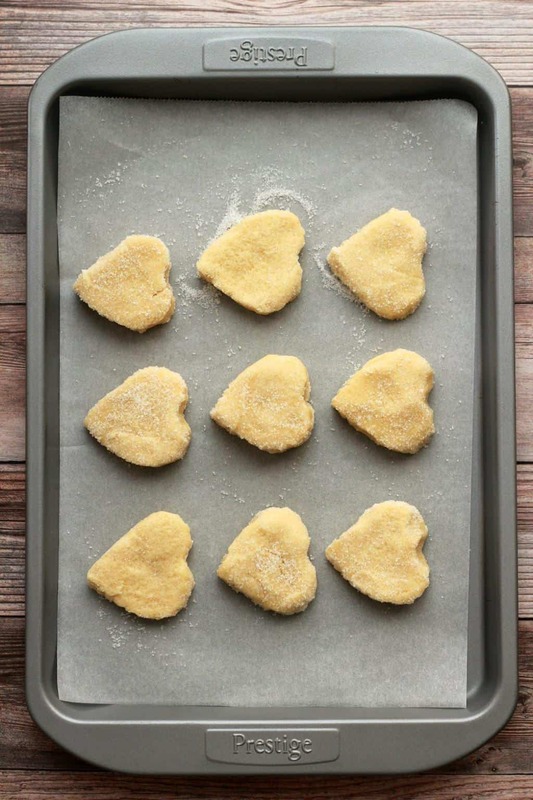 As I was working with this cookie dough, the vegan butter that forms quite a large part of this recipe was melting inside the dough and making it really rather hard to keep the nice little heart shapes I was going for! 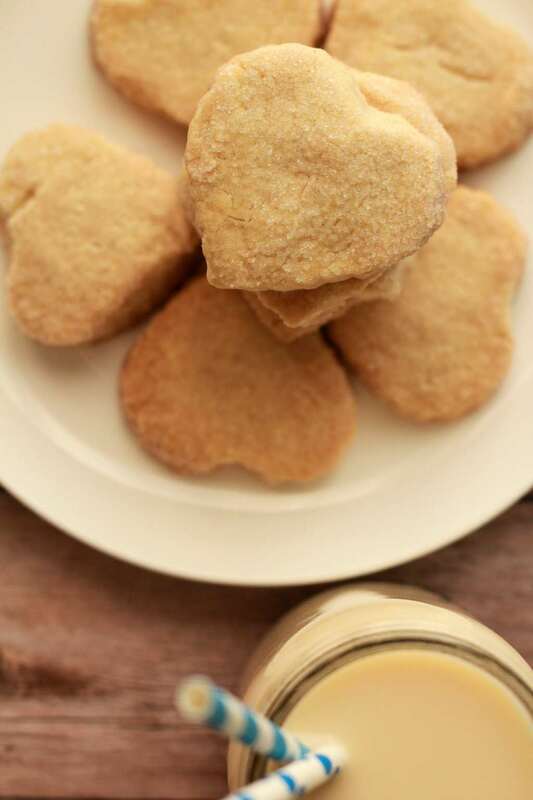 So if my heart shaped cookies look a little rough around the edges – this is why! It was about 100 degrees (or more) in my kitchen! Nonetheless the end result was awesome. This recipe is super simple, being just 4 ingredients. The result? 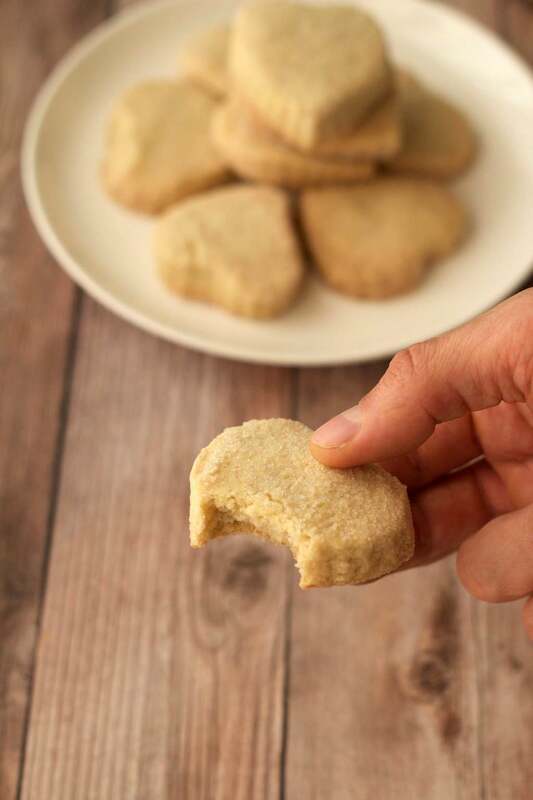 The crunchiest, most satisfying vegan shortbread cookies. Just about 8 or 9 of them. 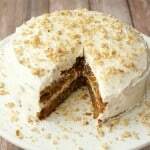 Absolutely ideal to have with a cup of tea or coffee for an afternoon snack or as dessert. 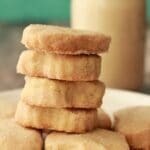 So what do you think of these vegan shortbread cookies? Let me know in the comments and please rate the recipe too! Thank you. 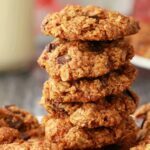 For more awesome cookie recipes, check these out! And loads more! 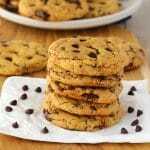 Type ‘cookies’ into the search bar to find all the cookie recipes we’ve done. Sign up to our email list for a fabulous (and free) recipe ebook containing 10 delicious vegan dinner recipes and to stay updated with all our latest recipes posted to the blog. 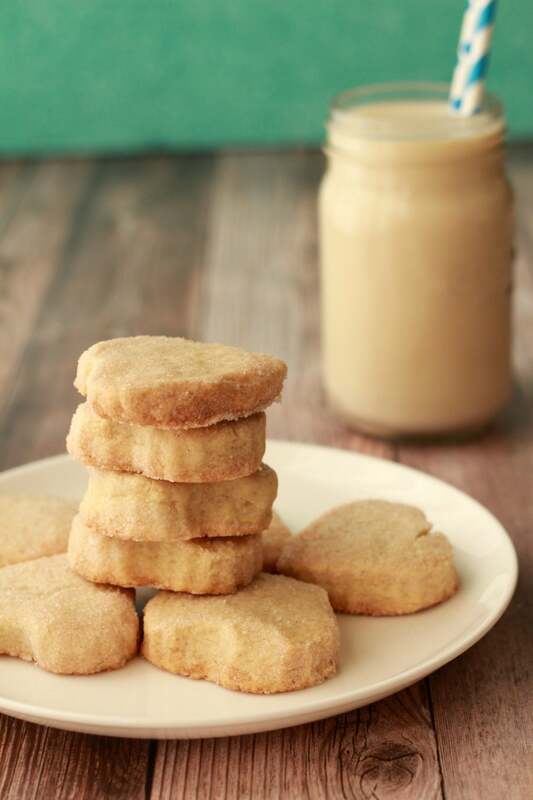 Perfectly crunchy vegan shortbread cookies. 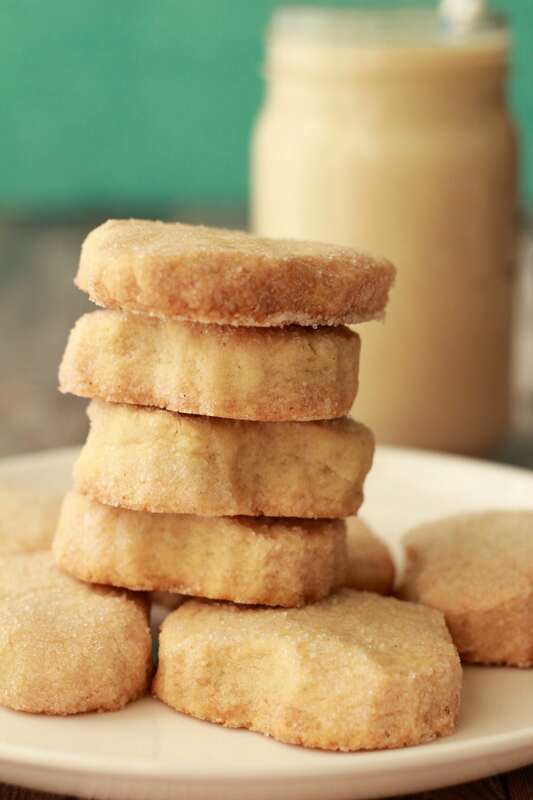 This small batch recipe contains just 4-ingredients and makes 8-9 shortbread cookies. Super easy and insanely good! Sift the flour and add it to a mixing bowl. Add the sugar and salt and mix together. Then add the vegan butter, rubbing it in with your fingers. It will first be crumbly and then gradually will form into cookie dough. 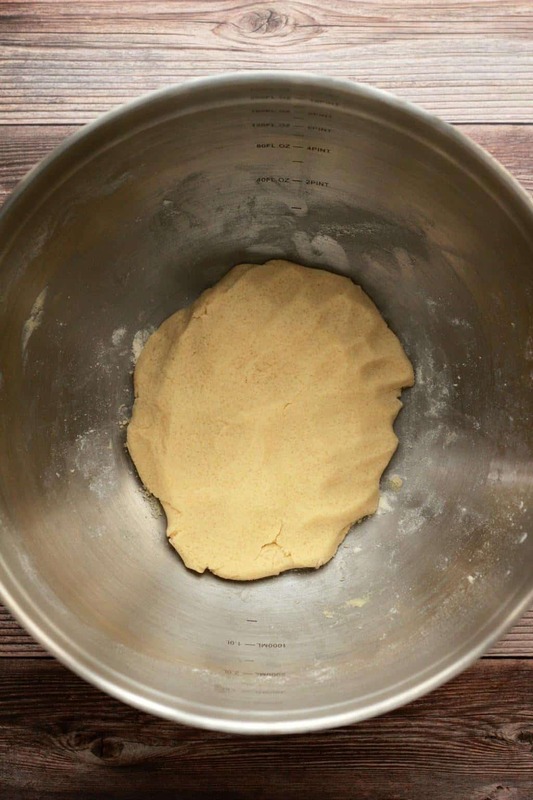 Form the cookie dough into a ball and then flatten it out on a flour dusted surface and cut out some cookies. You can either use a rolling pin or your hands to flatten it out. The dough is quite fragile, so if you use a rolling pin, you can roll and sort of press at the same time. Dust the top of the dough with flour so that the rolling pin doesn’t stick. Roll the cookies in sugar and place onto a parchment lined baking tray. Roll the remaining dough into a ball again and flatten out again, cutting out more cookies and then repeat. 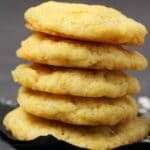 At the end you’ll cut out your final cookie, and whatever’s left won’t be enough for a last cookie, so just roll into a small ball, roll it in sugar and add it to the baking tray as a bonus cookie. You should have around 8-9 cookies. After 45 minutes, remove from the oven and allow them to cool for around 30 minutes before eating. How long do they keep for? Thinking of making them to put in a hamper for a birthday present! I was looking for a small sweet treat to go along with my homemade yogurt. I had nothing to measure the butter (student life…) so I used 7 tablespoons. I rolled the dough, cut the forms and then, the epiphany, why not use jam?! 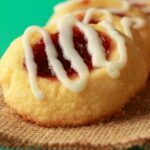 This recipe works like a charm as thumbprint cookies! Pear, lemon, raspberry I CAN’T STOP! Thank you ! Delicious cookies! I used Earth Balance vegan butter and they came out great. I questioned the baking time, but you were right, 45 minutes on the button! I didn’t have the right shape cookie cutter, so I rolled the dough into a chunky log, then cut off 1.5-2″ chunks, then pressed them with my hand, then cut into quarters and they look very nice. 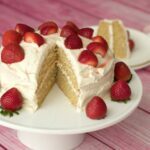 Thank you for yet another fabulous recipe! Your site is fantastic. Sure, this will be helpful. Since you are rubbing it in with your fingers though, even if it isn’t, it will just make the process a bit slower. But definitely if the butter is a bit softer, it will speed things up a bit! I was just wondering what the difference would be if I used powdered sugar instead of granulated? Made these tonight and they were delicious! Thank you so much for the recipe. I added a wee bit of vanilla and lemon extract to the cookie and made a mixed berry compote to go in the middle of the cookie. They are so addicting! I’m staring at them now, lol. If anyone is debating on making them, please do. They’re buttery, rich, and have the perfect amount of sweetness. I can’t wait to make them again, but next time, it will be for my co-workers. I really loved these cookies. I added lavandar flowers to the dough and topped with chocolate (vegan). They were well received by my guests. very easy and very tasty. Mmm, delicious! Used coconut oil instead of margarine and it worked really well. 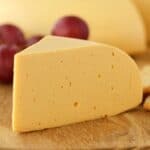 Earth Balance vegan butter is available inboth spreadable and hard where I live. Which one should I use? Also both have salt in them. Should I leave out the salt in the recipe? I have only ever used the spreadable variety, so I would go with that one. 🙂 And no all the vegan butters I’ve used have also had salt added, so I wouldn’t leave it out. I used a vegan butter with salt and used the salt suggested in the recipe and they came out fine, I didn’t taste an excess of salt. I made these for an omni friend who helped me in my house today. He LOVED them. I made them smaller and only baked them for 30 minutes. I can’t wait to make these! How thick should they be when I flatten them out? Do you think these would still come out good using whole wheat flour? 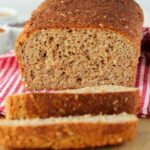 I just found this recipe and tried it with wholewheat flour and coconut sugar, I used the same quantity for everything, they turned out OK, I put 2 tsp of lemon juice in half the batch and they where my favourite super tasty, I also put jam on two and were also super. Hope that helps fpr future reader’s who are trying for a healthier option. This has become a family favorite and I love that the batch is small. These were great, I didn’t read the comments until after and will use some of those suggestions on my next batch. I rolled mine out a little thinner than the recipe intended and baked for about 30 minutes, but couldn’t wait for them to cool before trying them out!! 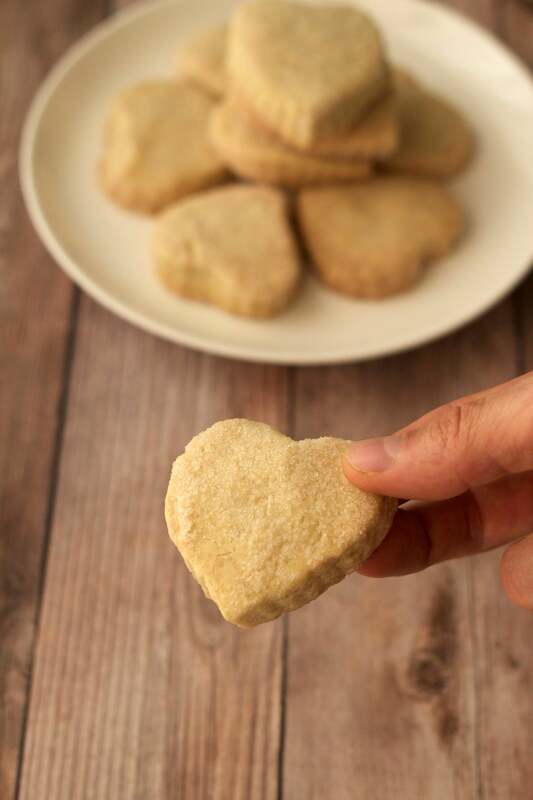 You don’t have to have a heart shaped cookie cutter, any cookie cutter will work or you can roll the dough into balls and flatten them by placing a small piece of parchment paper over the top (to stop it from sticking) and then using the base of a glass to press down and flatten. 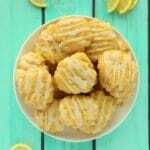 These cookies are so delicious! I made them today for the first time and I know these will become a regular in our house. So incredibly easy to make too. I just shaped them by hand, making little balls and flattening them. I didn’t add extra salt because the vegan butter was salted but afterwards I read in the comments to add it anyway. I didn’t miss the salt though. Truly addicting cookies! Hi! This looks great. Thinking of making them as favours for my wedding. Will they freeze if I prepare them in advance? I made these pretty thin, trying to number them as 8 or 9 cookies, but they turned out brown after only 30 minutes at 300 Fahrenheit. I should have made them as thick as yours, or cooked them for less, but the taste is still good! Lesson for next time!